Everton have signed 15-year-old midfielder Fraser Hornby from Northampton Town under the terms of the Elite Player Performance Plan. The Cobblers will receive an initial £65,500 and could earn up to a maximum of £1.3m in the future, depending on how many first-team games he plays. Academy boss Trevor Gould said they had "mixed feelings" about the deal. "He is going to a fantastic club with a proud record of producing young players," he continued. "We always want to keep our best players, but under the EPPP if a player is wanted by a Premier League club then it is just about impossible for us to resist, given the processes set out as part of the EPPP." EPPP was voted in by clubs in 2011 and allows teams to buy young players from lower league sides for set fees, rather than through the old tribunal system. 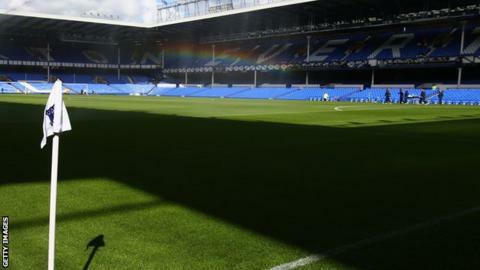 Everton will have to pay £150,000 for every 10 Premier League games played by the teenager, up to 60 games. And they will pay £100,000 for every further 10 appearances, up to 100 games. "Not only are we producing players for our own first team, we are producing players who are attracting the interest of Premier League clubs and that is a massive endorsement of our work," added Gould. "Seeing any local player have the opportunity to develop at a Premier League club is exciting and we wish Fraser every success."